We do not store any of your card information. 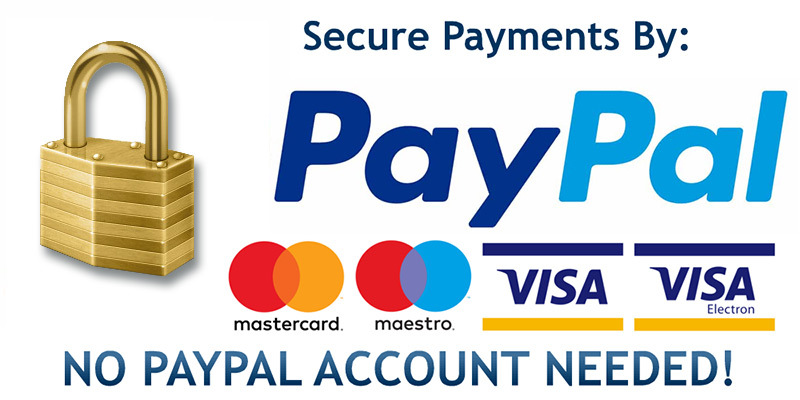 All payments are through secured payment servers. Orders will not be dispatched until goods are paid for in full.